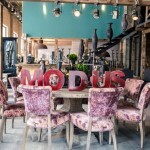 From the date of opening, pizzeria «Modus» keep impressing its guests. Strong Italian cuisine is adjacent to the amazing interior solutions, refer to the Alpine chalet style. 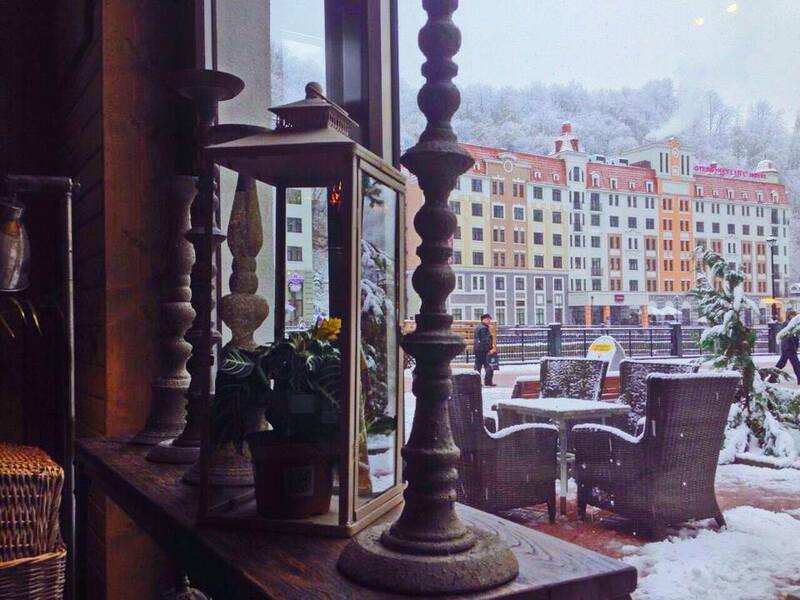 Café-pizzeria «Modus» is located in the famous ski resort of Rosa Khutor, which determines the range of visitors: many supporters of ski sports, as well as tourists who wish to enjoy the amazing views and fresh air. 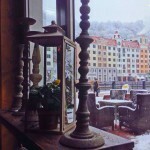 It is hard to find a good café in such a beautiful place! The menu was performed thoroughly: wide variety of pizzas, pastas, various Italian appetizers, seafood dishes and many other will satisfy tastes of the most discerning guests. Menu was developed by the best Italian pizza maker and rightly receive well-deserved recognition and love of the public. The secret of success is only natural ingredients, the complete absence of chemical enhancers and taste substitutes. In winter you can warm yourself with hot drinks such as mulled wine and grog, in the summer you can enjoy the mountain scenery from the summer terrace in the café-pizzeria «Modus». 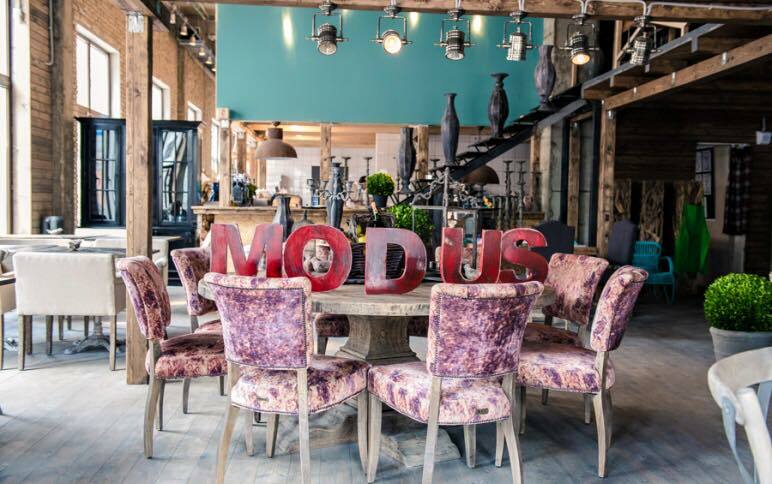 Interior in café-pizzeria «Modus» was created by the famous designer Anastasia Konenkova (Instudio), this place allows you to feel comfortable in evening dress and in sportswear. If you want peace and solitude – welcome to the second floor, which looks like a chill-out zone. Decor reminds that you are in the mountains, and the views from the wide panoramic windows are truly admire. 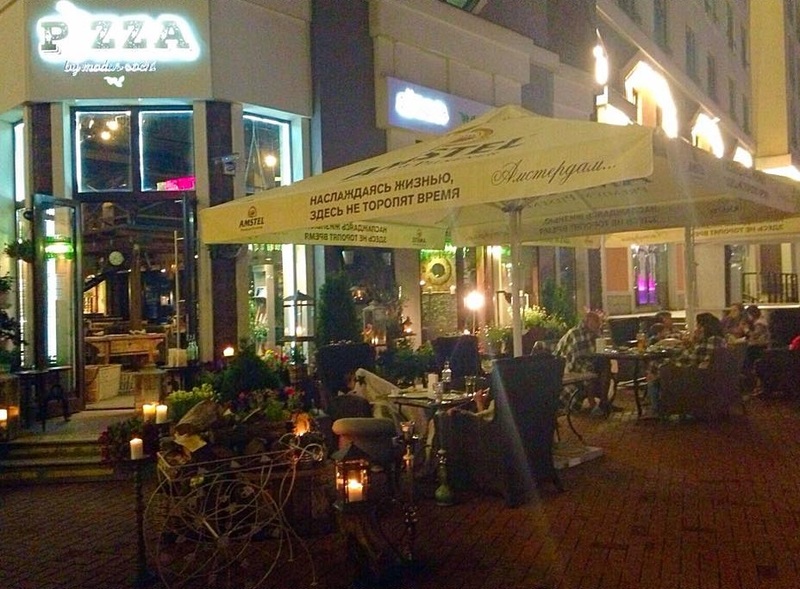 Café-pizzeria «Modus» rightfully earned the recognition not only of the Italian Ambassador, but also a huge number of “Moscow” foreigners. Capacity of café-pizzeria «Modus» is 111 seats, including 53 seats on the 1st floor, 32 – on the second, and 36 – on the summer terrace. This place is ideal for any kind of gathering, whether it is a business meeting or a small family celebration. Restaurant services: Brunch, Breakfast, Free Wifi, Reservations, Takeout, Waitstaff. Suitable for: Child-friendly, Groups, Cheap Eats.